(VIDEO) "Unarmed peace activists" armed with knives, slingshots, rocks, smoke bombs, firebombs, gas masks, etc. Early this morning, IDF Naval Forces boarded six ships attempting to break the maritime closure of the Gaza Strip. 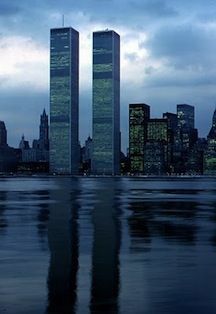 This happened after numerous warnings from Israel and the Israeli Navy that were issued prior to the action. The Israel Navy requested the ships to redirect toward Ashdod where they would be able to unload their aid supplies which would then be transferred over land after undergoing security inspections. 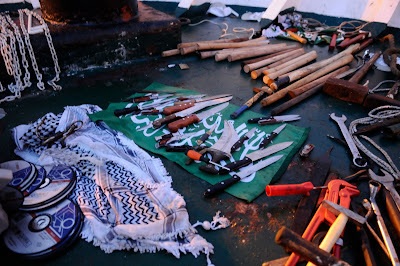 During the boarding of the ships, the demonstrators onboard attacked the IDF Naval personnel with live fire and light weaponry including knives and clubs. 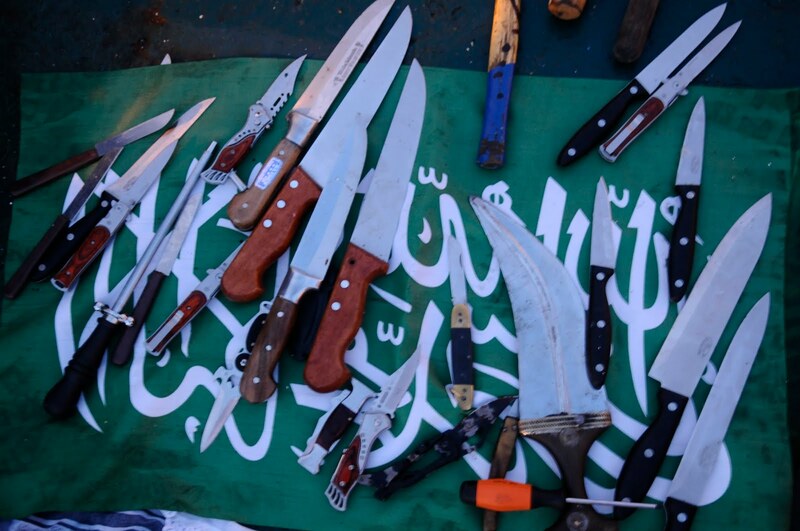 Additionally one of the weapons used was grabbed from an IDF soldier. The demonstrators had clearly prepared their weapons in advance for this specific purpose. According to initial reports, these events resulted in over ten deaths among the demonstrators and numerous injured, in addition, more than four naval personnel were injured, some from gunfire and some from various other weapons. Two of the soldiers are moderately wounded and the remainder sustained light injuries. All of the injured, Israelis and foreigners are currently being evacuated by helicopter to hospitals in Israel. Reports from IDF forces on the scene are that it seems as if part of the participants onboard the ships were planning to lynch the forces. The events are ongoing, and information will be updated as soon as possible. Israeli Naval commander, Vice Admiral Eliezer Marom is overseeing the events. In the coming hours, the ships will be directed to the Ashdod port, while IDF naval forces will perform security checks in order to identify the people on board the ships and their equipment. The IDF Spokesman conveys that this event is currently unfolding and further details will be provided as soon as possible. This IDF naval operation was carried out under orders from the political leadership to halt the flotilla from reaching the Gaza Strip and breaching the maritime closure. The interception of the flotilla followed numerous warnings given to the organizers of the flotilla before leaving their ports as well as while sailing towards the Gaza Strip. In these warnings, it was made clear to the organizers that they could dock in the Ashdod sea port and unload the equipment they are carrying in order to deliver it to the Gaza Strip in an orderly manner, following the appropriate security checks. Upon expressing their unwillingness to cooperate and arrive at the port, it was decided to board the ships and lead them to Ashdod. IDF naval personnel encountered severe violence, including use of weaponry prepared in advance in order to attack and to harm them. The forces operated in adherence with operational commands and took all necessary actions in order to avoid violence, but to no avail.